Thanks to your support, your commitment to helping us fulfill our mission, and the amazing work of our staff and volunteers, readers of What’s Up? 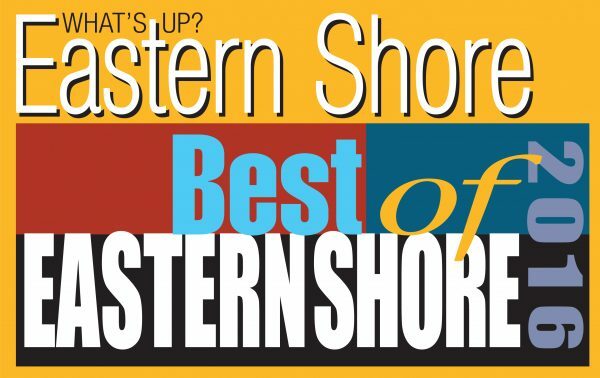 Eastern Shore have named Talbot Humane as the Best Non-Profit on the Shore! We are thankful for your support to help us continue to grow our programs and services. Since 1932 Talbot Humane, FKA Talbot County Humane Society, FKA Friends to the Animals has been serving animals in need across the Mid-Shore. Talbot Humane has had a low or no cost spay/neuter program for public pets since 2000. As of May 31st, we have already provide free or very low cost surgeries to over 300 pets from the Mid-shore. We offer humane education lessons and visits to every school in Talbot County. Just call to schedule a visit! Our public pet pantry has been open for owners in need since 2008. We serve approximately 100 residents monthly. We offer pet bereavement services to residents of the Mid-Shore area on the first Thursday of each month. Talbot Humane offers a behavioral hotline for pet owners in crisis. Our goal is to keep pets with caring owners. 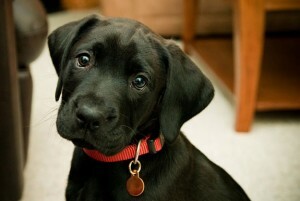 We offer low-cost microchip services to pet owners. The goal, to reunite pets with owners BEFORE they ever reach our doors! As our ability to provide services and education to the community has grown over the last 10 years, the number of animals entering our care has dropped by almost 1/2. This is a testament to the power of education and support! In order to provide services at the current level, that is provide daily care to animals, animal control services, all of the services listed above and MORE, it costs $2,383 PER DAY, 365 days a year. Your support allows Talbot Humane to continue expanding our programs and improving the lives of pets and residents, not only in Talbot County but, across the Mid-Shore. Talbot Humane has been providing pet food to residents in need since 2008 when our public pet food pantry opened. In late 2011 Pet Pantries of Talbot, Dorchester and Caroline Counties opened their organization and helped fill local shelters public pantry shelves. Mary Kramer and Barbara Mulready joined forces in an effort to ensure pets in need had full bellies across the Mid-shore. For the past 5 years the support offered by Pet Pantries has been an important part of our outreach programs to residents in need. We are so grateful for all they have done for Talbot Humane, Caroline County Humane Society and Baywater Animal Rescue. Providing thousands of pounds of dry dog and cat food to the shelters annually they have helped us feed more pets in need, it has been a labor of love on their part! Earlier this year, the team at Pet Pantries decided to close the organization. They generously provided their last funds to each organization to fill our shelves. We are continuing the spirit and teamwork of Pet Pantries going forward. Talbot Humane is joining with Caroline County Humane Society, Animal Welfare League of Queen Anne’s County, Kent County Humane Society and Baywater Animal Rescue to continue our missions of helping the animals of our communities- creating Mid-shore Pet Pantries Coalition. Each organization will be collecting food in their respective counties for the pantry with the help of local businesses and volunteers. Each organization is looking for businesses willing to be a drop off location as well as volunteers to monitor and transport food. For more information on how you can get involved, contact our office today! 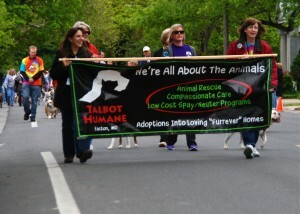 Join the fun on Saturday, April 23, in Oxford for a Dog Walk and Show to benefit the animals of Talbot Humane. Talbot Humane provides a safe and healthy environment for unwanted animals in its care; places adoptable companion animals in good homes; protects all animals from cruelty and neglect; and reduces the unwanted companion animal population through spay/neuter services. The Oxford Day Dog Walk begins at 9:00 and runs from the Causeway to Ferry Dock. The blessing of the animals takes place just before the Walk at 8:55. download the oxford day dog walk registration 2016 here. The fee to participate is $25. Registration also takes place the morning of the event. Each entry receives a goodie bag for your dog to enjoy! Talbot Humane wants to increase the chances of reunited lost pets and owners. One safe and effective way to provide identification is through having your pet microchipped. In recognition of Pet Identification Week April 1-23rd, Talbot Humane will be offering microchipping of your dog, cat or ferret for only $10 for the entire month of April. This includes the registration of your chip with HomeAgain, a new collar and an identification tag. Now when was the last time you even purchased a collar for $10? The Solution. Free Fix-its at Talbot Humane! To learn more about the programs we have available for residents of the Midshore, click here! Volunteers from St. Vincent De Paul have already begun delivering shoes for this project. Talbot Humane is proud of our community partnerships to improve the lives of not only animals but the citizens of our community! Easton, MD, March 10, 2016: Talbot Humane is conducting a shoe collection drive from March 15-May 15 to raise money for the Shiloh Fund, an emergency fund the shelter maintains to pay for unexpected medical expenses, such as surgeries, lengthy vet stays or costly medicines. 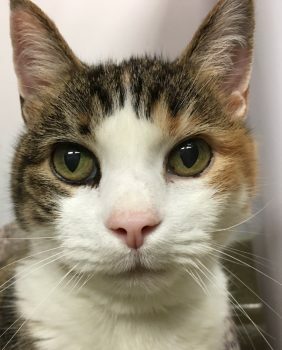 The Shiloh Fund is central to Talbot Humane’s ability to save the lives of injured and sick animals that many open admission shelters would have to euthanize and No Kill shelters may turn away. 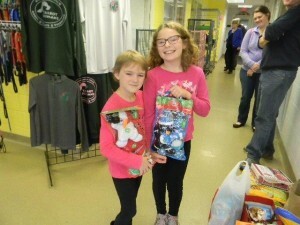 Talbot Humane will earn funds based on the number of pairs of shoes collected. If we fill 100 bags with 25 pair of shoes each, we will raise $1,000 for the Shiloh Fund. Anyone can help by donating gently worn, used or new shoes at Talbot Humane on Rt. 50 in Easton. All donated shoes will be purchased by Funds2Orgs and then redistributed throughout the Funds2Orgs network of microenterprise partners in developing nations. Funds2Orgs helps impoverished people start, maintain and grow businesses in countries such as Haiti, Honduras and other nations in Central America and Africa. Proceeds from the shoe sales are used to feed, clothe and house their families. One budding entrepreneur in Haiti even earned enough to send to her son to law school. 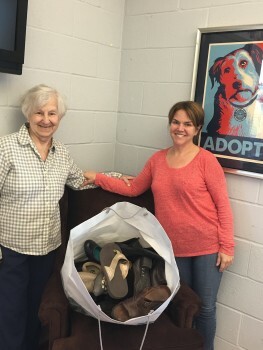 If you have a group or organization that would like to collect 25 pairs of shoes to fill one of our bags, please contact Susan Langfitt, Fundraising Coordinator at Talbot Humane at 410-822-0107 or susan@talbothumane.org. We love seeing kids think out of the box and make a difference for the animals of our community! On March 18th, twelve high school boys will be competing in a Womanless Beauty Pageant to raise money for Talbot Humane! It’s formatted just like a traditional beauty pageant with fashion and talent portions, but the contests are men dressing as women. Don’t miss out on this hilarious event that is fun for all ages! Tickets are available in advance at Rise Up Coffee, Little Rascals Consignment Shop, and Talbot Humane. 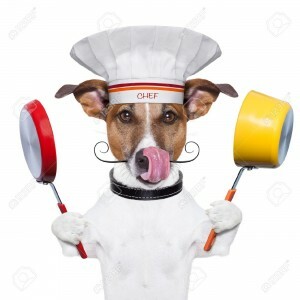 The Annual Dawg VS Talbot Humane Chili Cook-Off is HERE! The Coveted “Chili Bowl” is on the line once again! The Kool Kats at Hair O’ The Dog Wine & Spirits Annual Chili Cook-Off is going to the dogs (and cats too!) Friday February 12 from 5-7PM you will have the chance to taste chili dishes paired with wine or beer. Once again it’s a battle of the Dogs- Talbot Humane staff & volunteers verses “The Dog” staff in an effort to raise funds for the animals! You vote with your dollars to see which team wins! The generous folks at HOTD are also donating a 10% of the sale of featured wine and beer to Talbot Humane during this event. These folks really are AMAZING friends to the animals! That moment when you realize your dog or cat jumped the fence, got out the door, or broke free of the leash can be an extremely terrifying time for a pet owner. If you lose a pet please call Talbot Humane immediately with a description and location where lost. If you find a pet please call and report him even if you choose to hold onto the pet for a few hours in an attempt to find the owner. This will increase the chances on both ends of a happy ending. When you realize your pet is missing you first should always call your local animal control and humane society. Often they were picked up by a Good Samaritan and brought directly to safety. If your pet it not currently at the shelter, ALWAYS do a lost pet report. This gives those agencies your contact information and description of your pet so if they do get a call you can be quickly reunited. Search your immediate neighborhood. If your pet likes other animals go to the homes with pets. If they like children, do the same. A scared pet often gravitates to their comfort zone. Use social media! People are connected 24/7 and with a photo and area last spotted your pet may be found! Cats usually only travel within a block or 2 of home. Ask neighbors to look in their sheds, under decks and in brush. Put out your pets favorite food by the door they use to go in and out. Resources such as Dogs finding Dogs, Finding Toto, and Red Rover may provide other resources when your pet is no where to be found. Microchip AND keep the registration current. Be sure to change phone numbers and addresses as needed with the microchipping company. If your pet is not currently chipped, contact Talbot Humane today to schedule an appointment. Have ID on your dog’s collar. This includes both ID and license tags, AND writing your phone number on the inside of the collar in permanent marker. Have a current photo of your pet each year in the event you ever need to make a flyer.